What’s going on at the Will Rogers Memorial Center (WRMC) this winter? Oh, just the World’s Original Indoor Rodeo® and 121 years of Fort Worth Stock Show tradition. And on top of this, it turns out the folks at Will Rogers will host even more events in the next two months - seven to be exact. December 17, 10 a.m. – 4 p.m.
Get your last-minute Christmas gifts from the talented arts and crafts dealers setup inside the Amon Carter Jr. Exhibit Hall. Thousands of unique items will be on sale from 10 a.m. to 4 p.m. Admission is $5 per adult or $3 when you bring two canned goods. Though shopping for your firearm of choice is an option, the Show is a great place to source supplies, swords, books and more. You might even seen museum worthy memorabilia! Entry is $8 per person Saturday 9 a.m to 5 p.m., and Sunday 10 a.m. to 4 p.m.
January 8, 10:30 a.m. – 4:30 p.m.
Make sure your wedding goes off without a hitch! Over 150 vendors including photographers, florists, venues, formal wear, caterers and more will assemble at Will Rogers to help you plan blissful nuptials. Admission is $10 per person. Sports: Watch many of the world’s top competitors ride in the PRCA rodeo. Education: Take a tour of the livestock barns, watch a live milking demo, and walk thru the exhibit halls to learn about the importance of agriculture. Thrills: Spin, slide, or hang on to your ride of choice at the Stock Show&apos;s Midway. Or try your hand at winning a prize from one of the carnival games. Shop: Whether you need a new tractor or an old-school cowboy hat, you’ll have lots of vendors to show you the latest. Eat: From traditional barbecue to Tex-Mex, you’ll have no problem finding nourishment. Try not to spill any sauce on that new Western shirt you just bought in the exhibit hall. 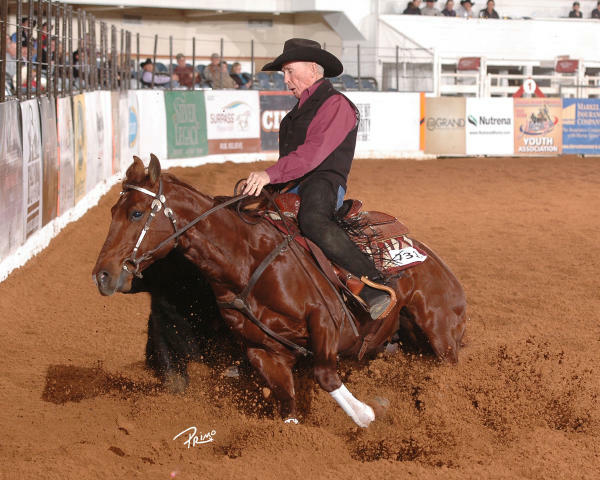 The top riders and horses from each of the National Reined Cow Horse Association’s (NRCHA) regions vie for World Championship titles once the Stock Show has concluded. Riders compete in traditional horsemanship skills, aiming to earn the title of World’s Greatest Horseman. It’s time to get your feet moving to the Will Rogers Auditorium for this youth dance competition. Talent On Parade is a year-round dance education, performance, and training company that hosts competitions in the first half of the year, dance camps in the summer, workshops in the fall, and specialty events throughout. More than 400 alpacas will visit WRMC for this show. They won’t come alone – their ranchers and associated vendors will be there, too, to answer questions and show the animals to the general public. Alpaca fiber is highly prized due to its extreme fineness and its hypoallergenic properties. The events will include a Fleece Fashion Show and a Fiber Arts competition showcasing products made with alpaca fiber. Texas Scooter Times holds this event in the Small Exhibits Building on the aptly named Harley Avenue. Not only will you find parts and accessories for your bike, you will find lifestyle accessories like clothing and jewelry.